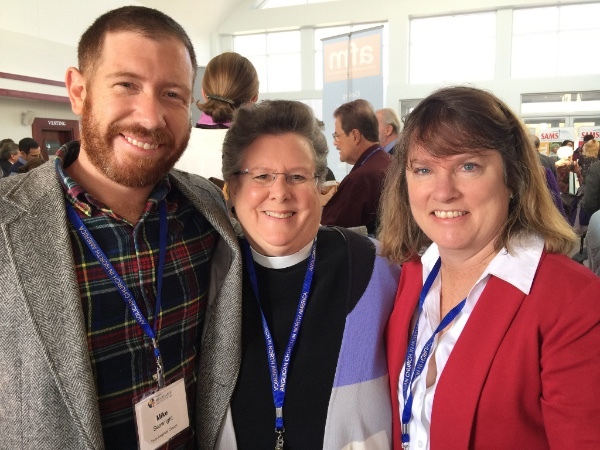 Clergy, delegates and friends gather for Synod 2016! 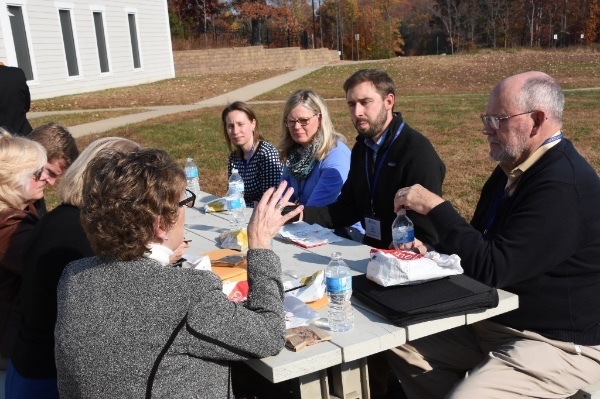 The family of the Diocese of the Mid-Atlantic gathered together last weekend at All Saints’ Church, Woodbridge, VA, for our annual Synod. 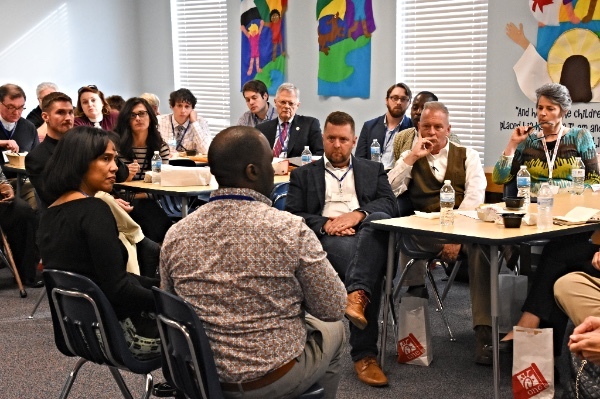 We were thrilled that nearly 100 people attended the Pre-Synod workshop on multi-ethnic ministry Friday afternoon, led by Dele and Oneya Okuwobi. 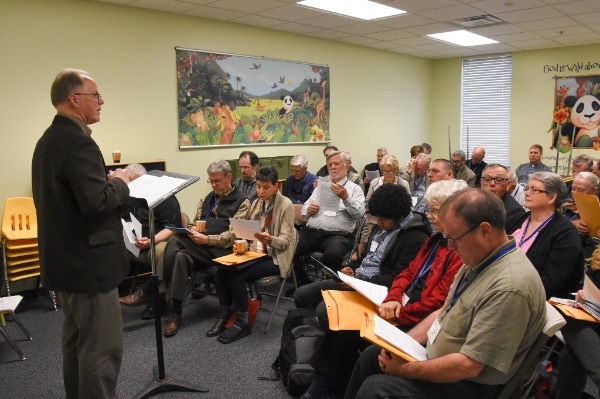 Their Pre-Synod Workshop, as well as their Saturday afternoon workshop will be available online here. 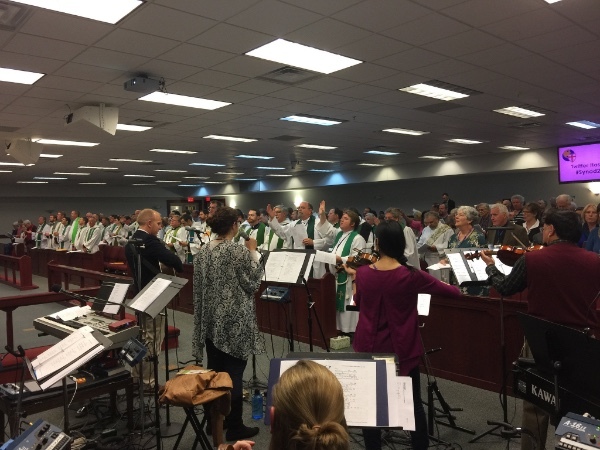 Following the workshop, we gathered with over 300 clergy and lay members of the Diocese as we celebrated Holy Eucharist together on Friday evening. You will find a link to the sermon, preached by the Rev. Johnny Kurcina, Rector of Christ Church Vienna here. 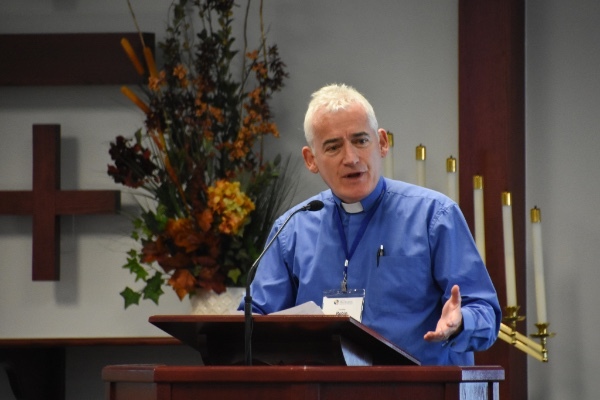 The Synod was then called to order and Bishop John Guernsey gave his report, which included highlights and other key events occurring in the diocese during the past year. The Rev. 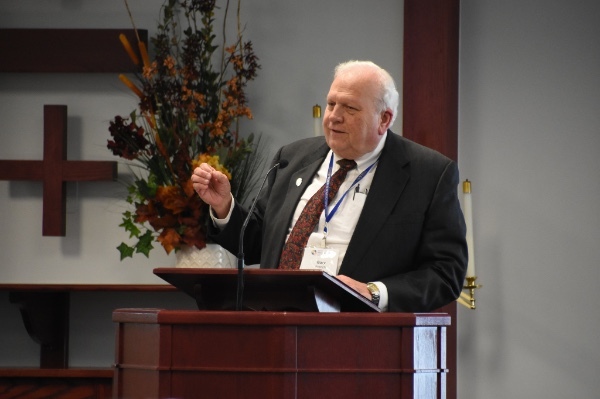 Tom Herrick, Canon for Church Planting, gave a report on the work of the Great Commission Committee. The Rev. 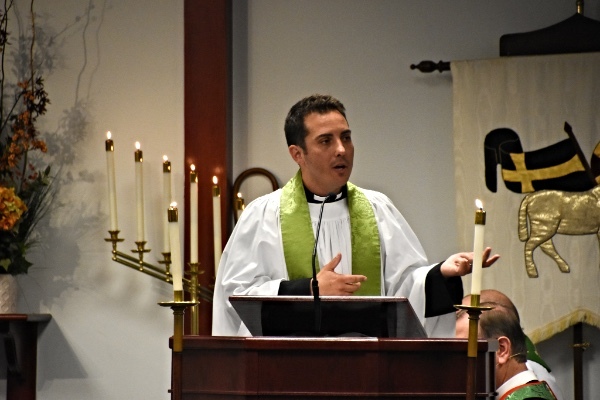 Dan Marotta, the Rev. Matt Hemsley and the Rev. 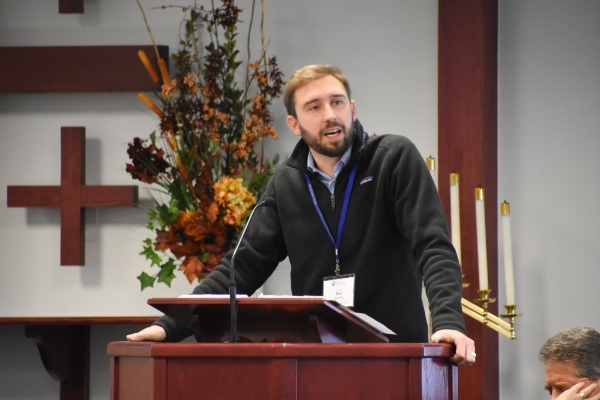 Josh Kammerer all gave reports on their respective church planting efforts. A link to these reports will be found here. The Rev. 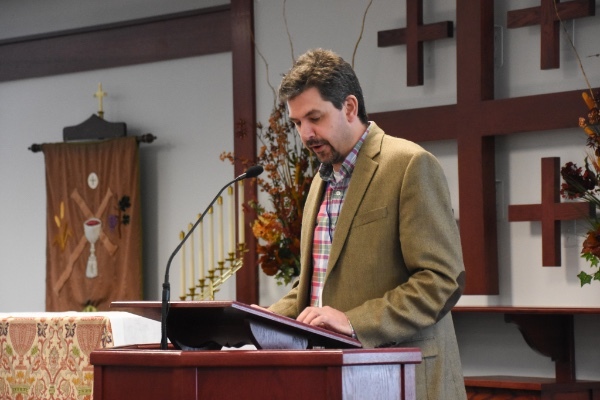 Dan Marotta shared his testimony of the launch of a brand new mission church, Redeemer Anglican Church in Richmond, VA. The Rev. 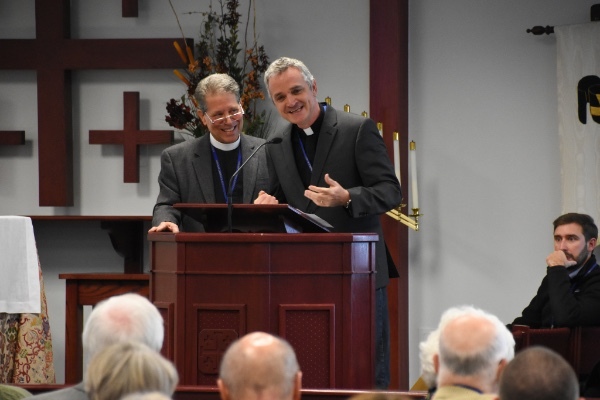 Robin Adams also shared his testimony of the journey of Church of the Word (Gainnesville, VA) out of the Episcopal Church, five years of waiting and now joining the Diocese of the Mid-Atlantic. 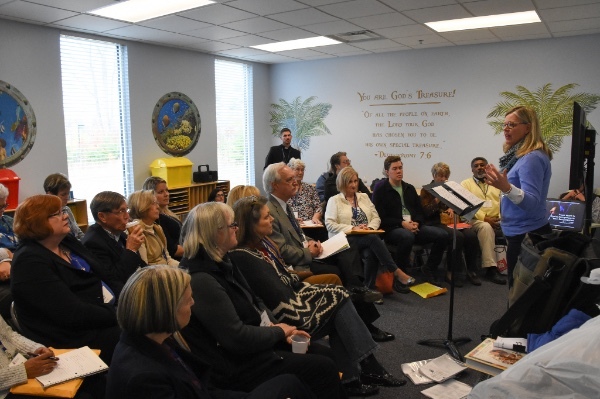 The Synod then voted to admit Redeemer Anglican Church (Richmond, VA), as a mission of the Diocese of the Mid-Atlantic and Church of the Word (Gainesville, VA ) as a congregation. 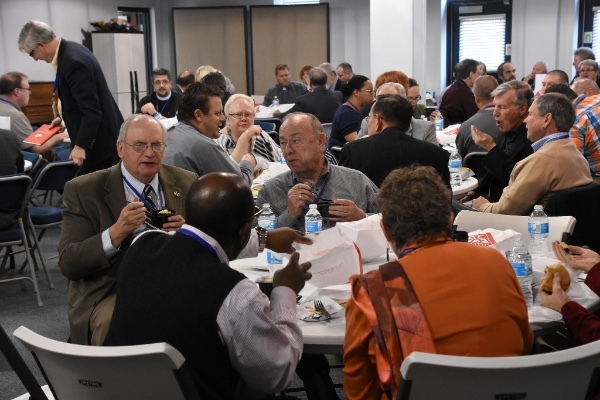 Lunch offered a great time of fellowship and conversation. Some even gathered outside for lunch. 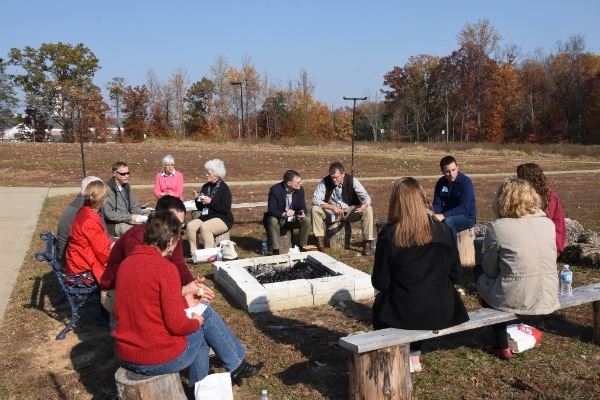 The day was surprisingly sunny and warm for November and offered a great opportunity for people to share with one another. 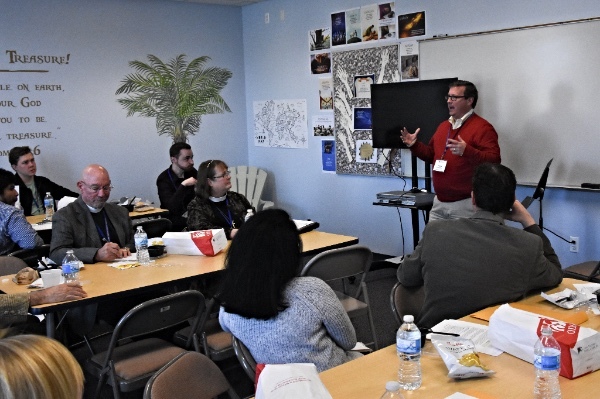 In addition, six breakout sessions were offered during lunch. Here Desiree Barker shares about "Listening to God's Direction in Your Life." The Rev. 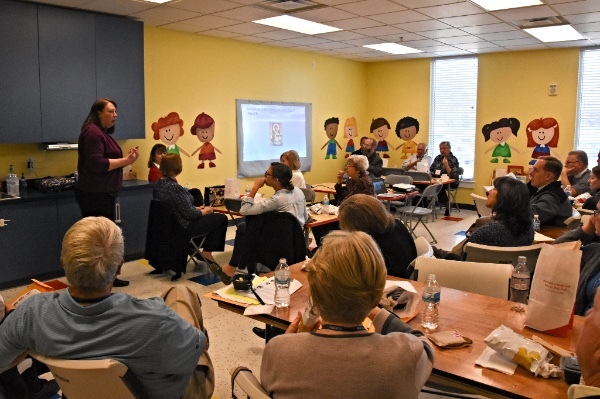 Mary Hays led a conversation on "Exploring Lay Ministries." 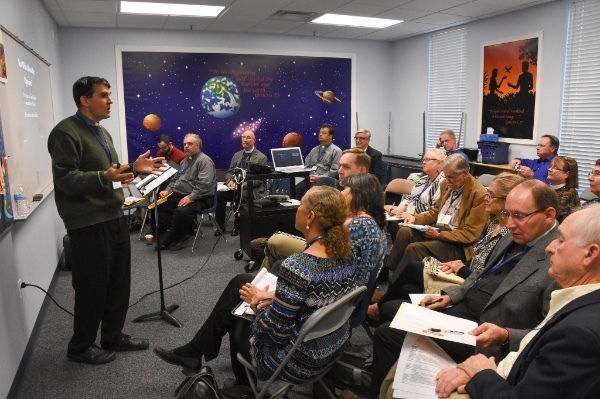 Patrick Cunningham talks about "Church Planting Internships and Residences." 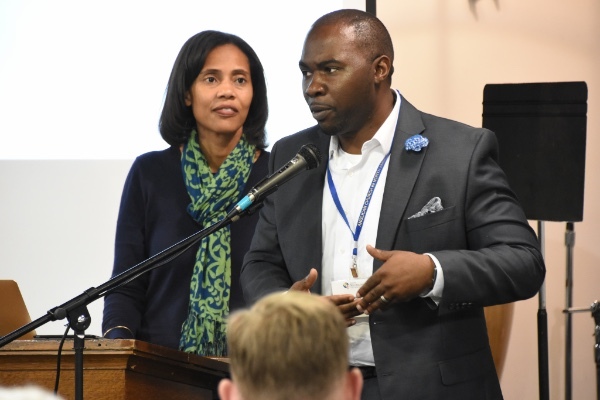 Dele and Oneya Okuwobi continued the discussion that began with the Pre-Synod Workshop on "Building Bridges with other Racial Cultural Groups." The Rev. 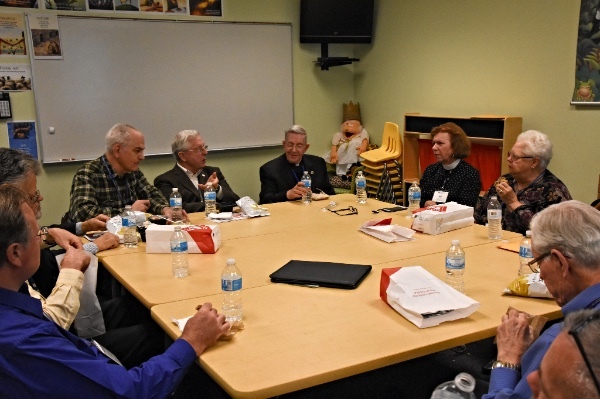 Wright Wall shares about the meaning of "Re-Missioning" at a luncheon gathering. 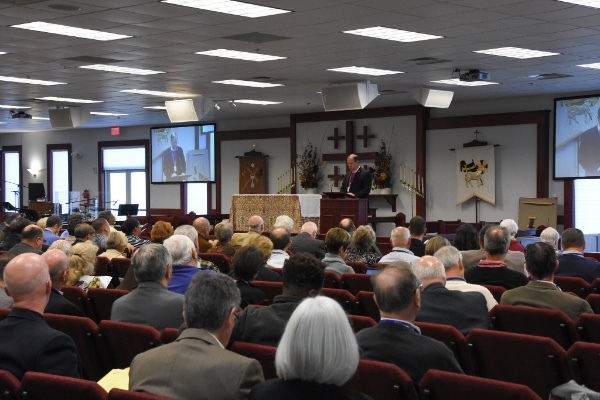 After lunch, Treasurer Gary French presented, and the Synod adopted, the Diocesan budget for 2017. The Rev. 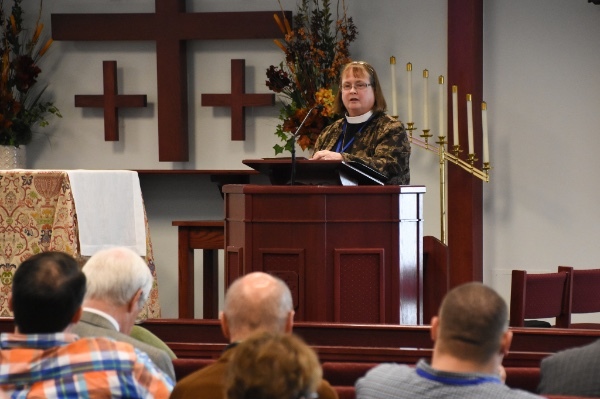 Becki Neumann presented a report from the Constitution and Canons Committee, after which the Synod approved several amendments to the Canons and gave initial approval to one amendment to the Constitution. 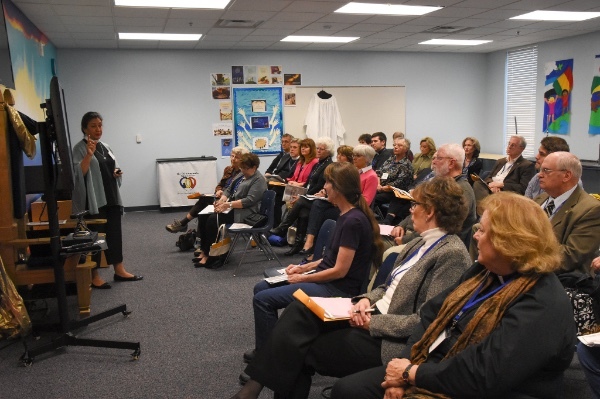 Clergy, delegates, and guests then attended a wide variety of workshops that were offered at Synod 2016. 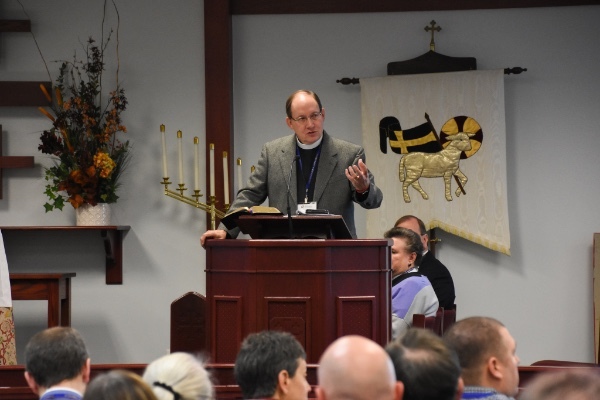 Here Gregory Strong of The Falls Church Anglican speaks on "Our Fundamental Anglican Beliefs." The Rev. 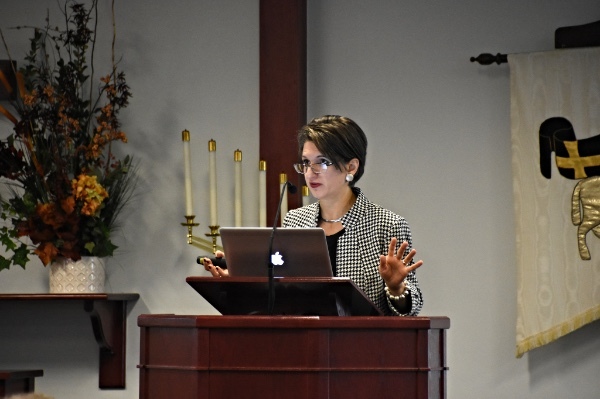 Mary Amendolia spokes on "Fresh Ways to Ignite Evangelism in Your Church." 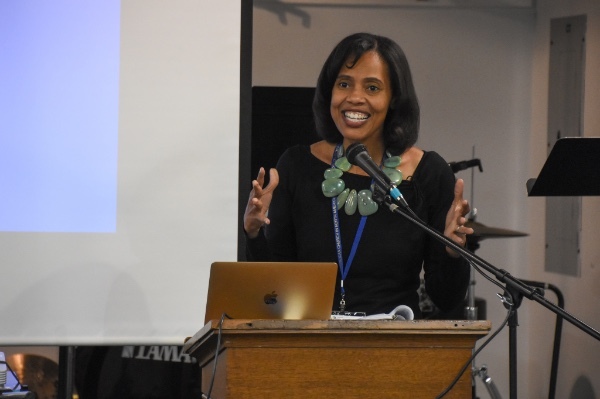 Oneya Okuwobi spoke on how we make Jesus' church on earth reflect His church in heaven through multi-cultural ministry. 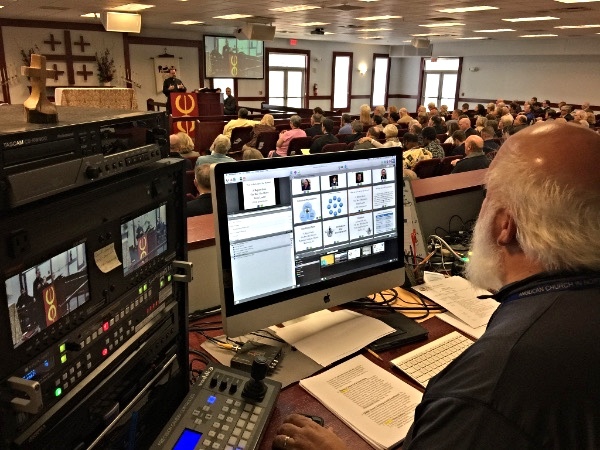 Recordings of the workshops will be available online at the diocesan website and on DOMACAST, the official podcast of the Diocese of the Mid-Atlantic. Stay tuned! 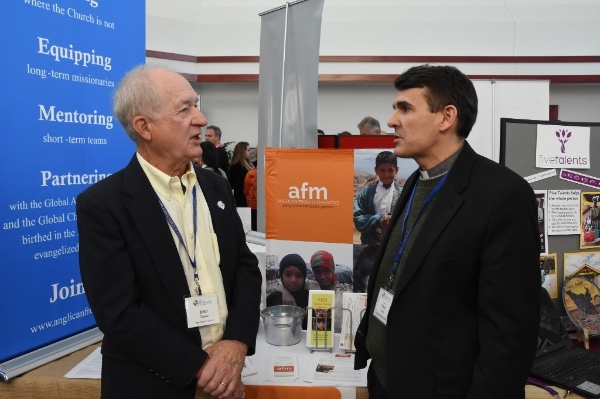 Throughout the entire Synod, people visited the many mission and ministry exhibits. 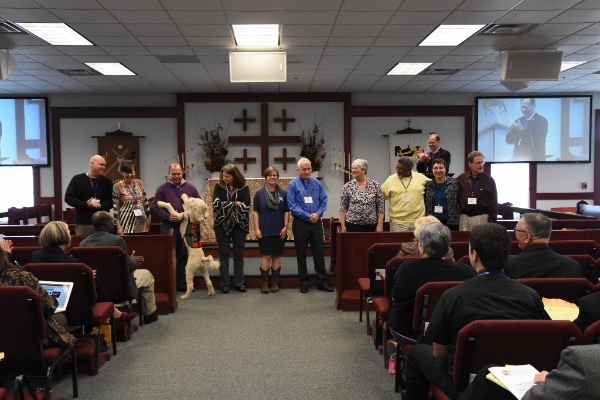 We are already looking forward to Synod 2017 and invite you to join us! 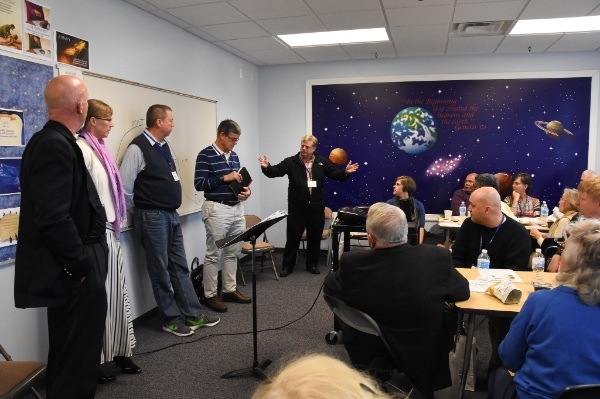 We will meet next year on November 17-18, 2017, at All Saints' Church, Woodbridge, VA. We hope to see you there! Photos by Ed Glancy and Mary Ailes.